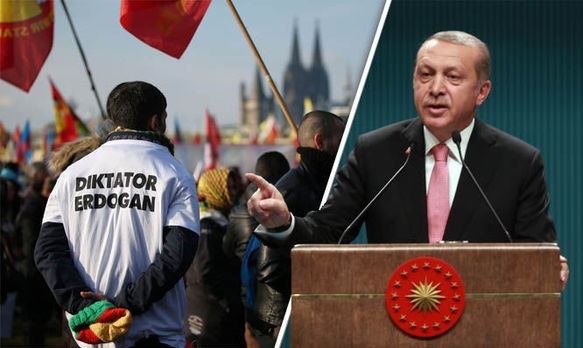 Around 30,000 Kurdish Turks protested yesterday in the German city of Frankfurt against the President of Turkey, Recep Erdogan. The protesters gathered from all over Germany and protested at the eve of the Kurdish New Year celebrations. They called for democracy and to vote against the referendum next month in Turkey, which is expected to enhance the Erdogan power of government.